An outlook from the Lubovna castle, Slovakia. 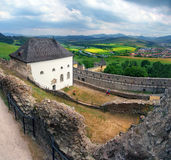 A great outlook from the Lubovna castle, Stara Lubovna village, Spis region, eastern Slovakia. 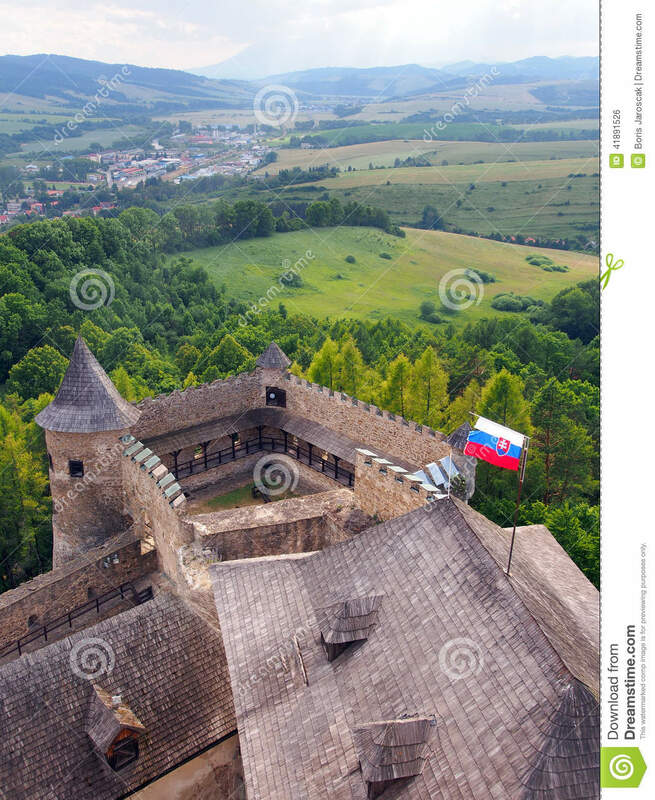 A waving flag of Slovakia can be seen on the shingle roof. This castle is opened to the public and it houses a museum. From tower of this castle there is a great outlook of the nearby surroundings. 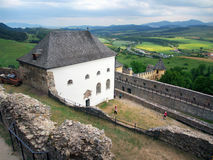 This castle is declared as a national cultural heritage of Slovak republic.